CRITICAL: WE NEED VOLUNTEERS, PLEASE! Please consider signing up for a board or committee position for next year. We need HELP creating events, and running events like the FUN RUN for next year so our schools can do some amazing things! 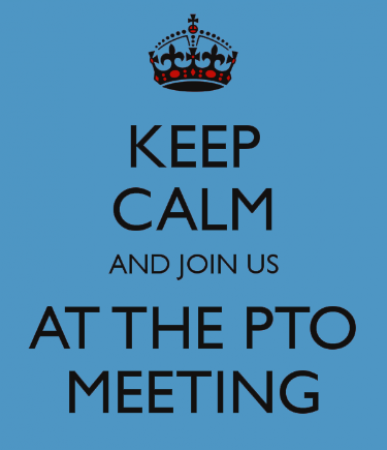 Last PTO Meeting of the Year! We will be voting in new board members and double checking all volunteer positions! We will also be hosting an end of the year get together following the meeting for all parents and teachers at Sunni Gibbons' home with adult beverages and tasty snacks! This is a critical meeting as we will be deciding and voting on Fun Run and other fundraising ideas for 2019-2020. We are open to all and anything so if you have some good ideas and want to help raise money for our school next year please come, and BRING A FRIEND!! 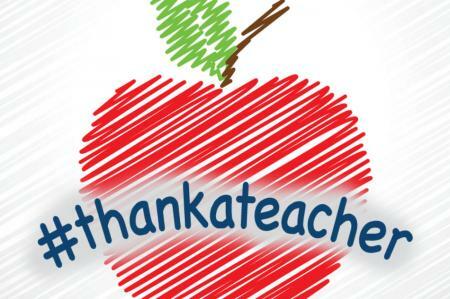 Thursday:Lucky for Us to Have Teachers Like You! Friday: Favorite Things Friday! Students bring in something for your teachers, office, support staff from their favorite things list (gift cards, candies, fun items for summer vacation) on the website under DOCUMENTS tab. Congratulations on your enrollment into the King Soopers or City Market Community Rewards Program. Your participants may begin enrolling upon receipt of this email. You have been assigned a new NPO (Non-Profit Organization) number JC565. 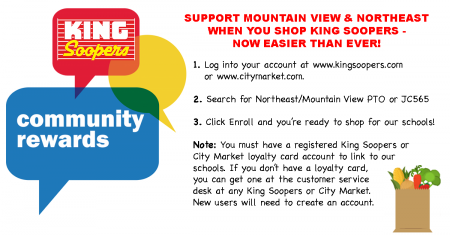 Once logged into their King Soopers or City Market account they can search for Northeast/Mountain View PTO either by name or JC565 and then click Enroll. 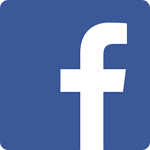 New users will need to create an account which requires some basic information, a valid email address and a loyalty card. 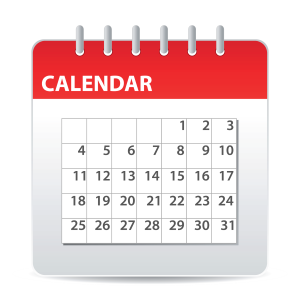 REMEMBER, purchases will not count for your organization until after your participants register their loyalty card. 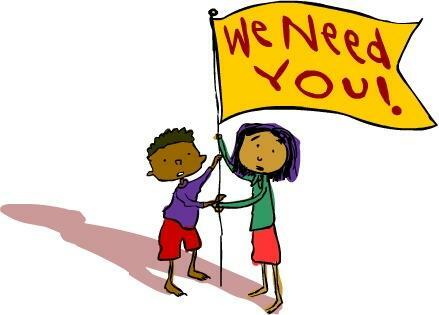 PTO Positions for 2019-2020 NEEDED / CRITICAL: WE NEED VOLUNTEERS, PLEASE!